Just Buy Live, an e-distributor that connects shopkeepers with consumer brands and distributors, has raised $20 million (around Rs 136 crore) in Series A funding from Alpha Capital, its co-founder Sahil Sani told Techcircle.in. Mumbai-based Just Buy Live Enterprise Pvt Ltd, which runs Just Buy Live, will use the funds raised to scale operations and add customers. It officially launched operations today. "Our model takes brands to retailers directly by removing the layers of distribution. We are a pure B2B online player. We are neither a marketplace nor a connections platform, but a very focused distributor," said Sani. 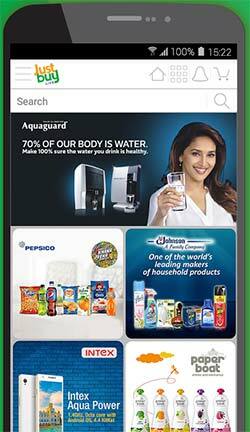 Just Buy Live has aggregated all major brands -- Hindustan Unilever, ITC, PepsiCo, Dabur, Sony, Intex Mobile and many more -- on a single platform. The company is not only an aggregator but also aims to establish itself as a distributor across multiple categories. "We are attempting to organise and aggregate the entire distribution trade of India. It's a very large platform we've built. We spent almost 9-10 months only building the platform and the infrastructure before we went live on January 1," added Sani. The company is focused on 11 categories such as food & beverages, personal care, mobile, electronics, etc., as well as on 23 different retailers. Sani claims that the firm's aggregate margins are in excess of 10%. The company makes money through its distributors. "Every distributor makes money because they are given a trade margin by the brand. Our unit economics are positive from day one. We do not have any cash burn," he added. For retailers, Just Buy Live offers only a mobile application, whereas it is building a website for large corporates for bulk sales. "Our research has shown that retailers don't use laptops as they don't have the time," said Sani. The biggest pain point that Just Buy Live faces is convincing retailers to adopt the technology. Presently, the firm has over 25,000 retailers registered with it, adding 1,000 per day. Headquartered in Mumbai, the firm operates in 15 cities across India. Sani claims that by March 31, he intends to have 1 lakh retailers and 3,000 brands associated with Just Buy Live. Next month, the company hopes to make an announcement regarding its operations in tier II, tier III cities and rural areas, said Sani. Just Buy Live was founded by Sani and Bharat Balachandran last year. Sani, who is also the chairman of Sahil International (channel partner to global audio and infotainment giant Harman International), had seed-funded Just Buy Live by investing $5 million in his personal capacity. Alpha Capital Advisors Pvt. Ltd. Just Buy Live Just Buy Live Enterprise Pvt. Ltd.